Welcome to the American Photo Colorizing.com photo blog. We colorize black & white photos for museums, television, multi-media, publiocations . . . and families like yours. The year is 1938. American Photo Colorizing pays tribute to a Hollywood legend and great American, Shirley Temple Black. 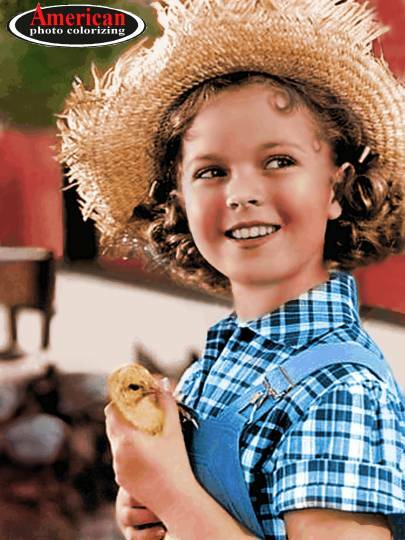 Here’s Shirley in a barnyard scene from her film hit, “Rebecca Of Sunnybrook Farm”. A number of artists have attempted to colorize this photo over the past few years, but I think we’ve produced the definitive one. 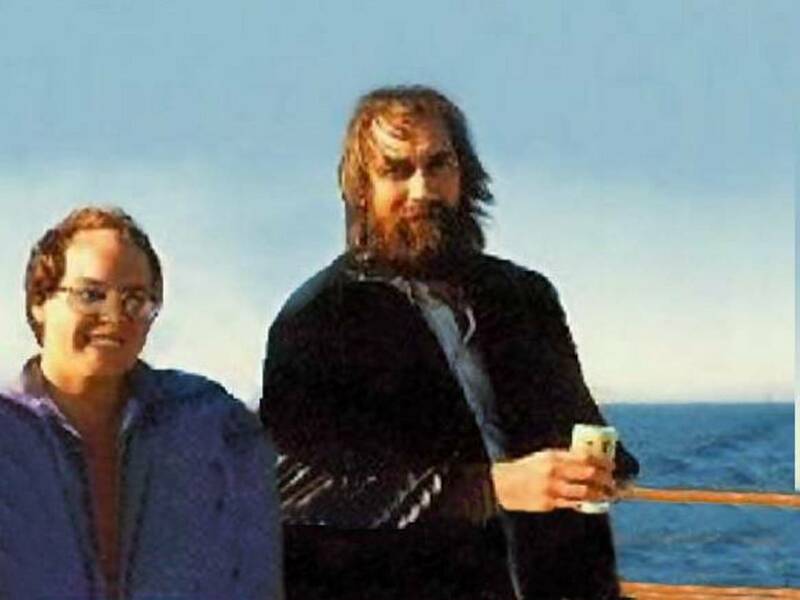 Shirley’s films would’ve made perfect color romps. Thankfully, she’s left us a wealth of classics. The year is 1940. Happy Halloweenie! Actress/Model, Anne Nagel is our Pinup Pun’kin for this trick or treat edition of Trending History. Color is by American Photo Colorizing, as usual – and you can almost see our Jack-O-Lantern’s blush. It’s no wonder he’s grinning with delight. Anne is very bewitching, indeed. 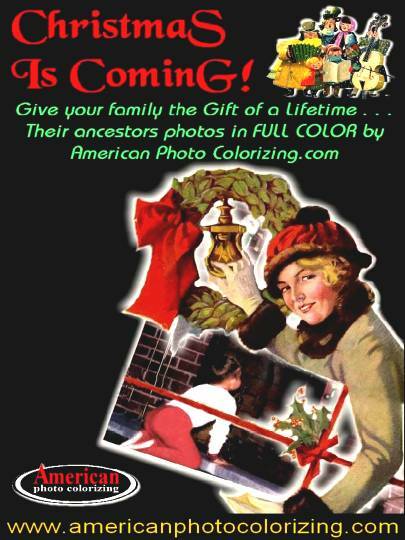 Welcome to the American Photo Colorizing photo blog. The year is 1967. 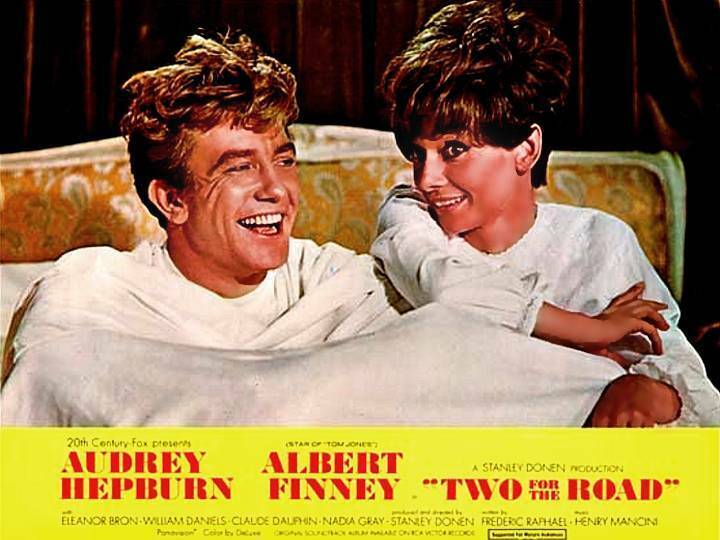 Audrey Hepburn is the epitome of “mod” in this shot from her from “Two for the Road”. One of these is the Original Color Photograph. 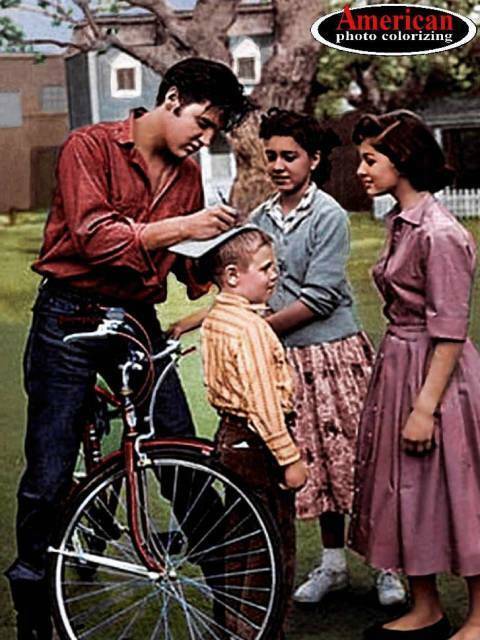 The other is our Colorization from a Black & White version of the original. 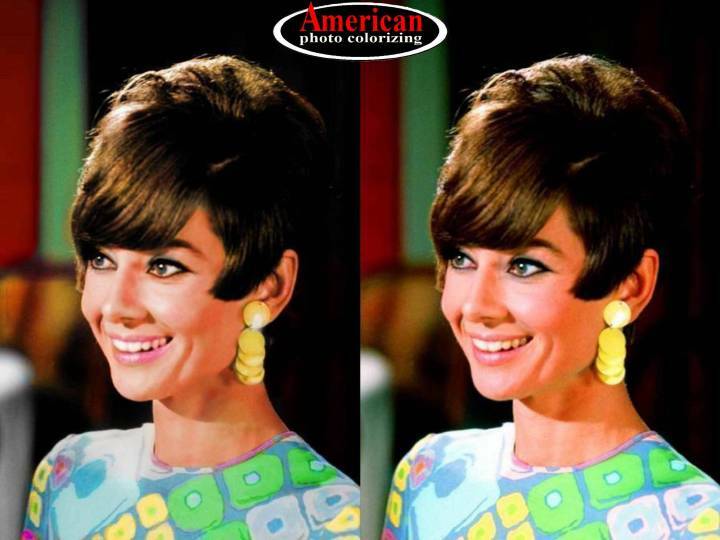 Can you tell which is the Original and which is Colorized? You’ll find the answer at the bottom of the page. ANSWER: Our Colorization is on the Left. The year is 1941. 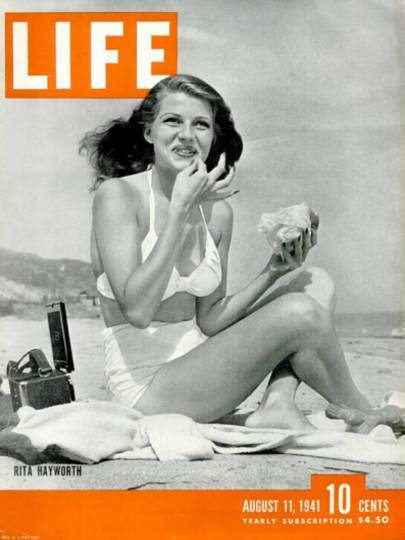 Here’s a fun candid moment with Rita Hayworth on the beach at Santa Monica, California. Rita was busy all day, posing for a photographer from Life Magazine. Rita had agreed to do the photo shoot, provided she could take a break to sunbathe at the beach. The photographer cam along, and took a series of photos of Rita relaxing with a portable radio while munching on a hamburger. The resulting story and photo spread was published in the August 11, 1941 issue of Life Magazine. RITA HAYWORTH & FRED ASTAIRE – SING & DANCE THEIR WAY INTO OUR HEARTS! The year is 1981. 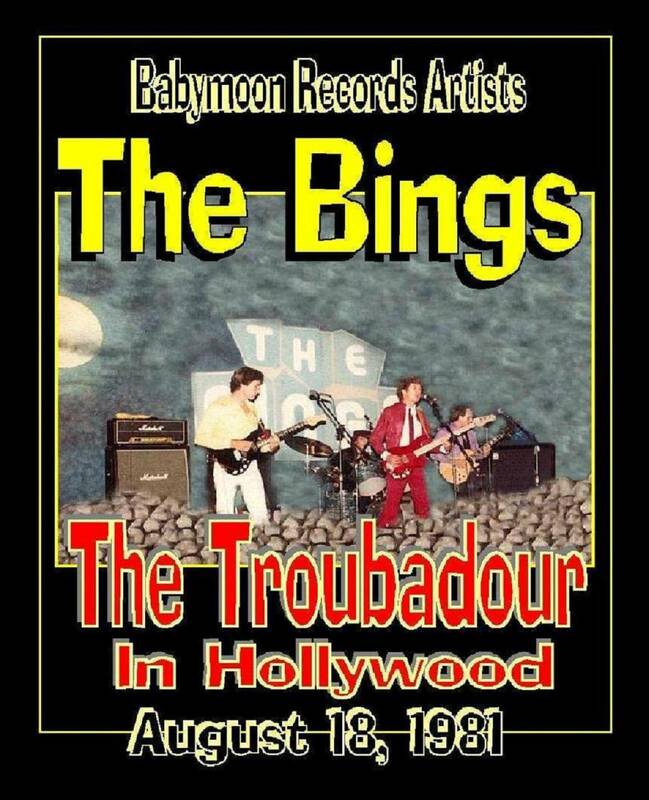 Yes, long before founding American Photo Colorizing on July 4th, 2002 – yours truly led Hollywood’s popular New Wave-Power Pop recording band, The Bings. 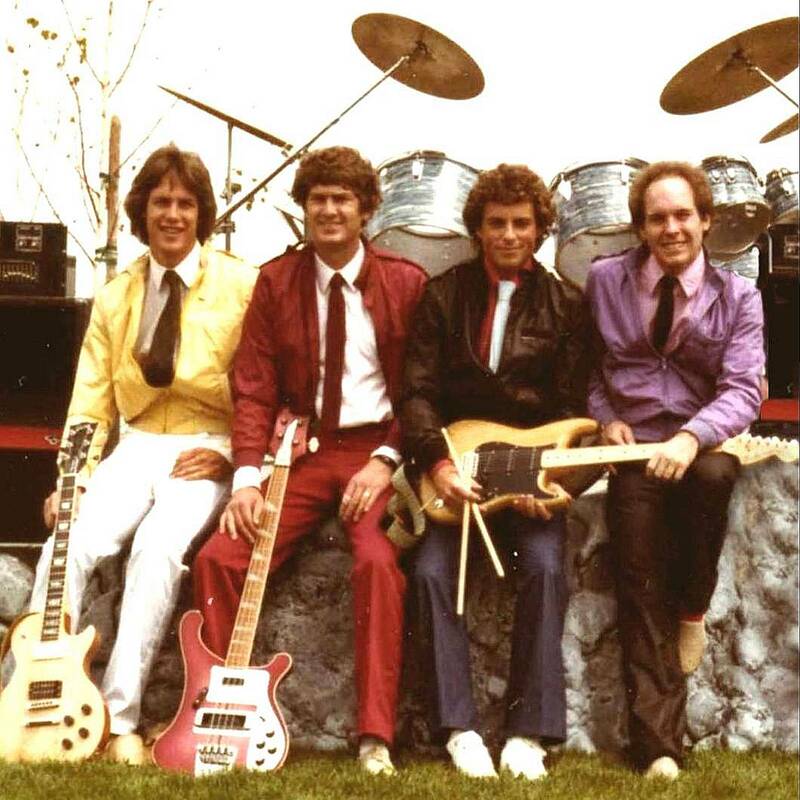 Back in the early 1980s, we were on LA radio stations, such as KLOS, KLON, and KCSN, the legendary KROQ – and even appeared on Channel 9 television in Provo, Utah – while we were on tour. Thanks to the internet, our music has spread to Asia, Europe, and the Middle East. That’s pretty darn cool! In the photos below, taken at Doug Weston’s Troubadour in Hollywood – I’m wearing a purple jacket, playing guitar and singing. The Troubadour has been one of Hollywood’s most famous nightclubs for over 50 years. The Byrds, Elton John, James Taylor, The Eagles, Neil Diamond, and so many other rock & roll stars have appeared onstage over the years. 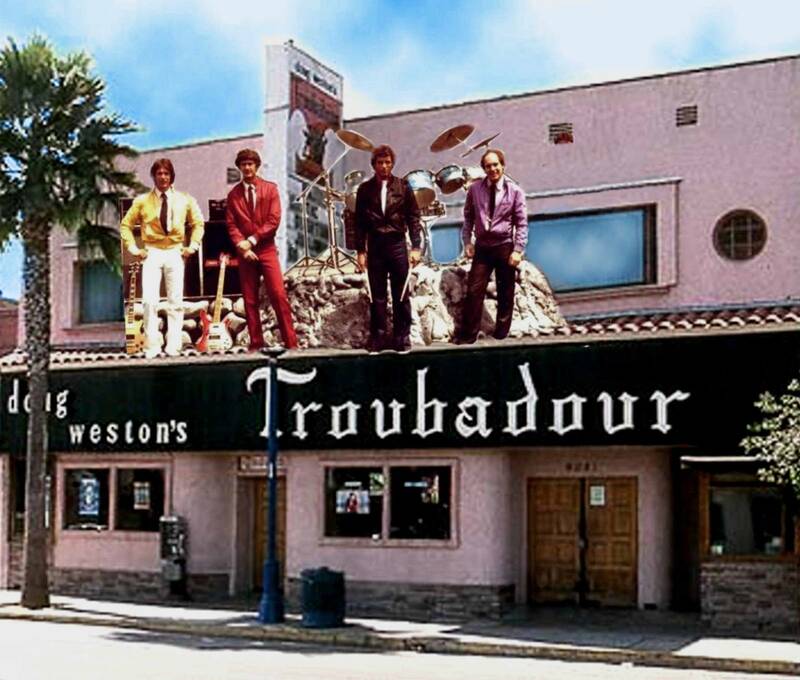 Today, The Troubadour features photos of our band on its website, and the photo showing our name on the marquee has become sort of an “official” photo for the club, featured on websites around the world. 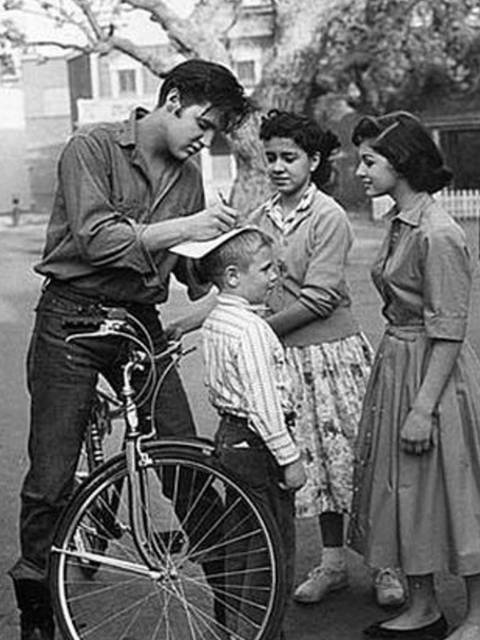 Again – Pretty darn cool! 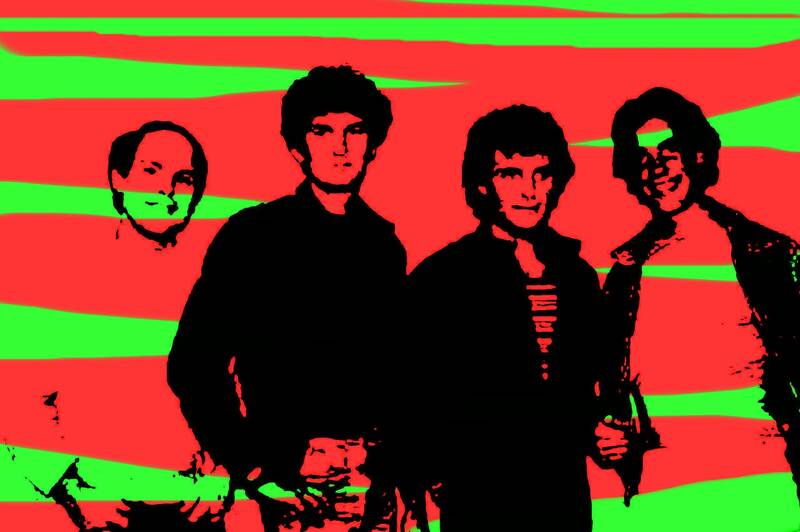 NEXT UP IS THE BING’S 1981 POWER POP RECORD, “PLEASE PLEASE PLEASE” – AS FEATURED ON A YOUTUBE CHANNEL BASED IN SPAIN. WE HAVE LOTS OF EURPOEAN FANS IN 2014, MORE THAN 30 YEARS LATER! OUR 45 RPM RECORD IS SELLING ONLINE FROM RECORD DEALERS FOR $85.00 (PLUS S&H). 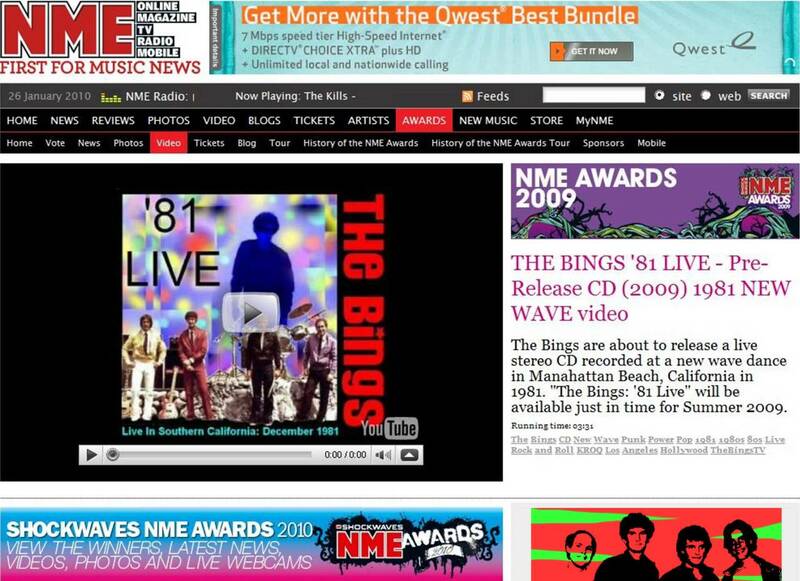 IT’S BEEN HAILED (AND NOT BE US) AS “THE GREATEST POWER POP RECORD TO COME OUT OF HOLLYWOOD IN THE 1980s! IF YOU’D LIKE TO OWN THIS RARE ’80S COLLECTIBLE (AND IT REALLY IS) – I HAVE A FEW COPIES IN MY PERSONAL COLLECTION. YOU CAN GET ONE BY CONTACTING ME AT david@americanphotocolorizing.com. 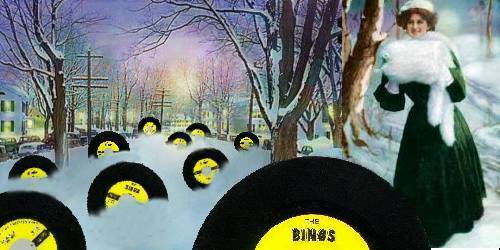 I’LL ADD TO THE RECORD – AN ORIGINAL 1981 BINGS PUBLICITY PHOTO. 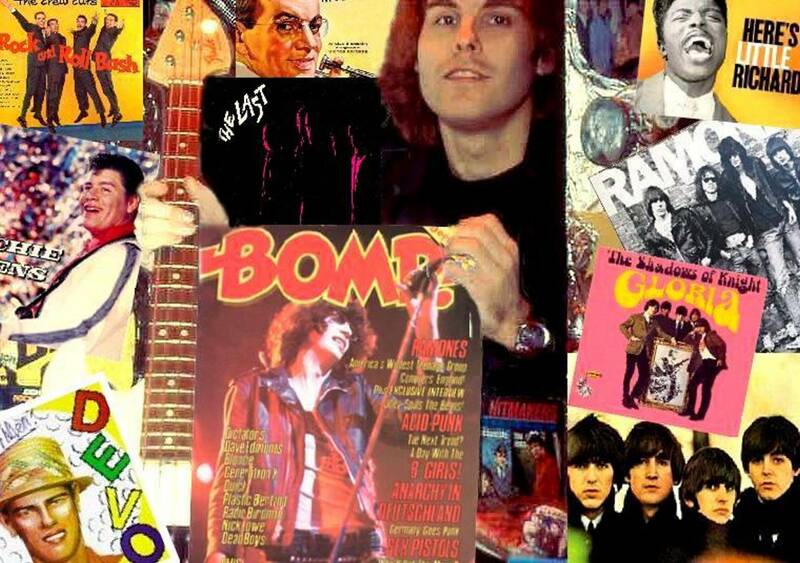 YOU CAN’T FIND ONE ANYWHERE ELSE – EVEN FROM RARE RECORDS DEALERS! YOU’VE LOYALLY FOLLOWED OUR BLOG, AND KNOW I’M NOT HERE TO “HUSTLE” YOU. 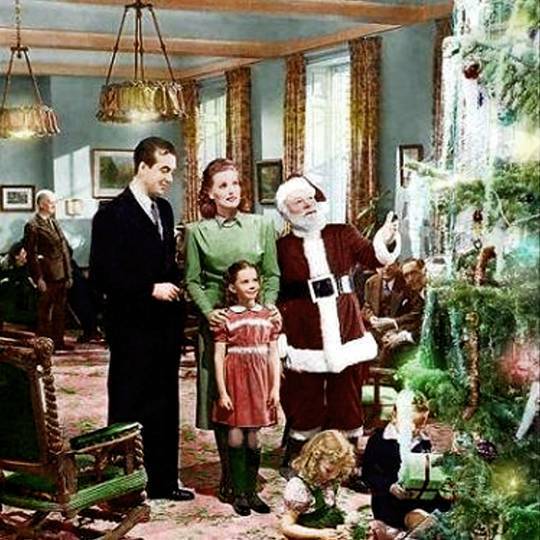 PHOTO COLORIZING IS MY TRADE – NOT RECORD DEALING. BUT, IF YOU LIKE OUR BAND, I’M HAPPY TO ACCOMMODATE YOU WITH SOME RECORDINGS OF THE MOST EXCITING ERA IN POP MUSIC SINCE THE 1960s. I’M VERY PROUD TO HAVE PLAYED A PART IN IT. PRICE: $75.00 (PAYPAL) (WITH “B-SIDE”, OH, NO! ), PLUS $10.00 S&H (SAVE $10.00). SUPPLY IS DEFINITELY LIMITED. OUR RECORD HAS BEEN INCREASING IN VALUE, SO, I FIGURE, IT’S PROBABLY A PRETTY GOOD INVESTMENT, IF YOU COLLECT ROCK & ROLL RECORDS AND MEMORABILA. CONTACT ME AT: david@americanphotocolorizing.com. Price: $10.00 (PLUS $2.00 PAYPAL FEE). 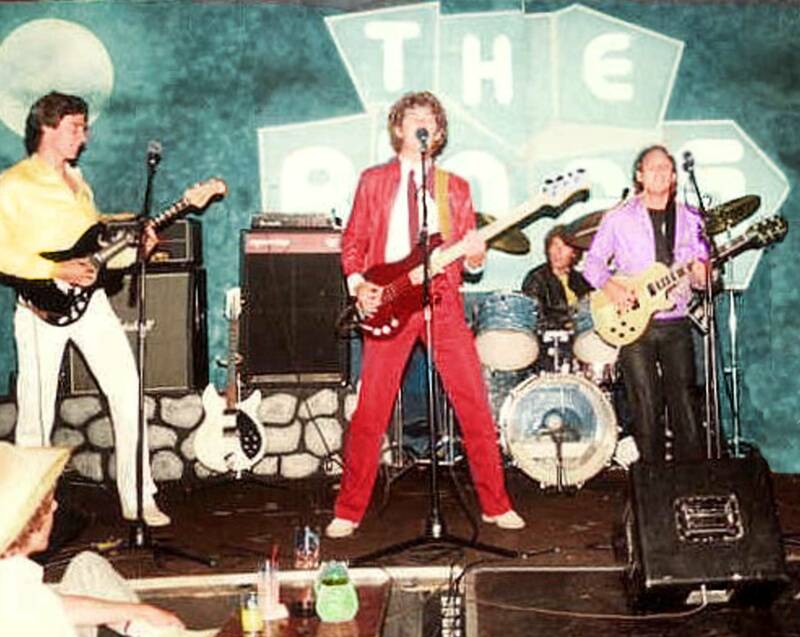 FOR THOSE OF YOU WHO WANT TO HEAR MORE OF MY 1980s NEW WAVE BAND, THE BINGS, HERE’S 40 MINUTES OF A CONCERT IN MANHATTAN BEACH, CALIFORNIA (DECEMBER 1981). PRICE: $19.95 (PLUS $5.05 PAYPAL FEE) = $25.00 OUT THE DOOR – OR THRU THE WINDOW.